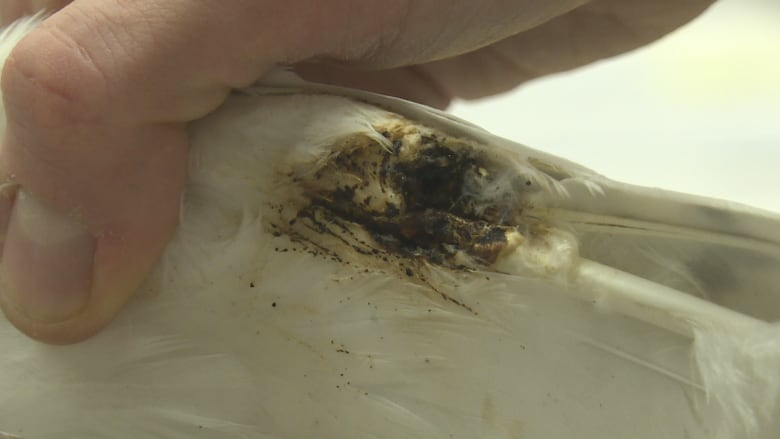 A large snowy owl was found dead with black scorch marks on its wing in a Saint John ditch last weekend. The owl was found at the foot of a power pole on Loch Lomond Road. Researchers suspect the unlucky predator was electrocuted mid-flight. 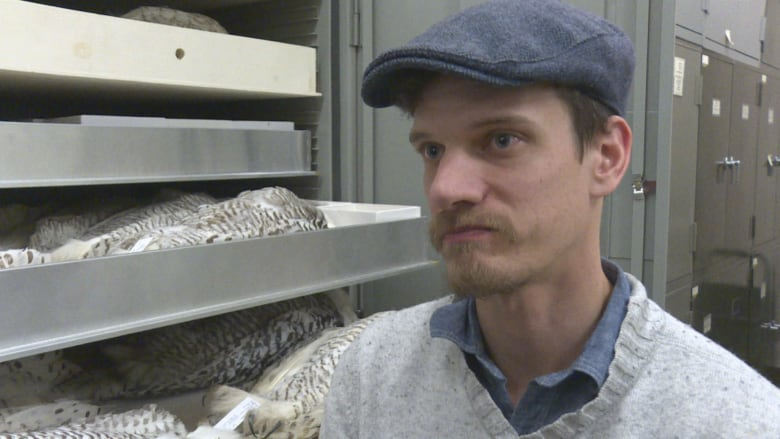 "It would have had to make contact with two lines and it was probably in flight," said Andrew Sullivan, the zoological preparator at the New Brunswick Museum archives in Saint John. "Normally, if it was flying through a forest, the occasional twig hitting its wings wouldn't be a big deal. But making just slight contact with two lines would have completed the circuit." Arguably the largest owls found in New Brunswick, challenged only by the great horned owl, snowy owls are elusive during the winter but not uncommon. "These are coming from the Arctic Circle, where they breed," Sullivan said. "And they'll also spend their winters there if it's good conditions. "Otherwise if their main food source, which is lemmings, if their numbers are low they might come south for the winter." Sullivan said the plumage growth and markings indicated the owl was an adult female. It appeared to have been at a healthy weight when it died. Sullivan said he will examine the bird's insides to see what its diet consisted of, and if whether it was indeed a healthy animal at the time of death. "Her plumage was a bit worn, a bit dirty," Sullivan said. "But it may just be from the habitat she was in." 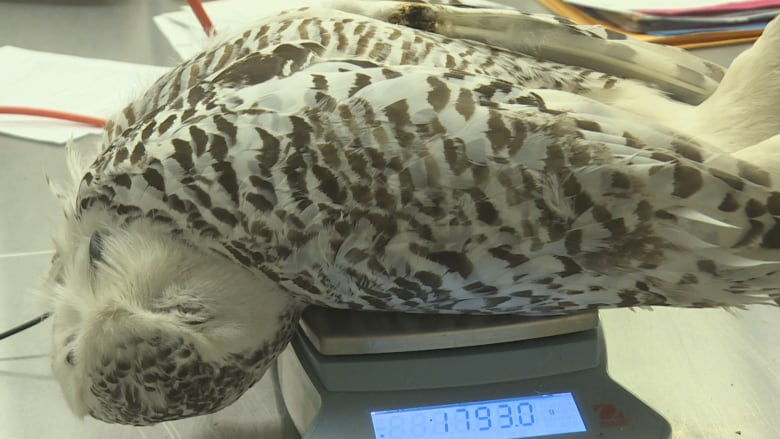 Weight, stomach contents and the date the migrating owl was found will be recorded in the days to come. Snowy owls have a long history of frequenting this province. 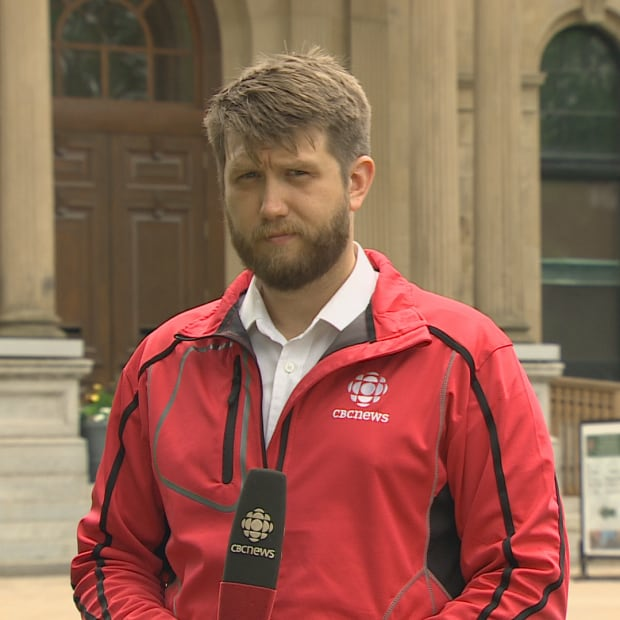 Sightings have been recorded at the New Brunswick Museum, which also keeps dozens of the birds in its archives. Each one is stuffed and tagged with some of the dates associated with the animals going back decades. 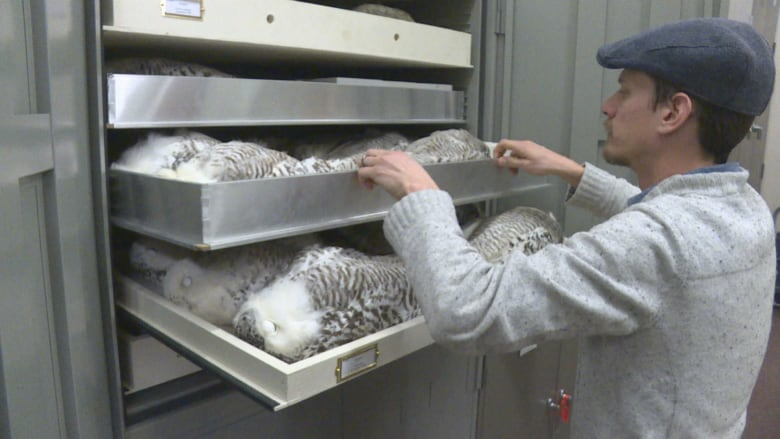 The electrocuted owl will be prepared and placed in the archives as well for research and future study, including DNA comparisons with owls from generations ago. "You can use specimens for any number of things," said Sullivan. "Things like feathers and hair can be used for heavy metal analysis and stable isotope analysis, and DNA work. "When these owls first started being collected people didn't know DNA existed."